An official email has been sent to my mailbox last Friday. Eddren, we need your expertise to teach Data Structures and Algorithms, and your class will be started on next week. It's really quite sudden and surprised because I didn't touched Data Structures and Algorithm for quite a long time after I graduate. Well, it's really hard to reject that email because the term of "Professional". Therefore, grab a reference book and prepare my lecture slides immediately. 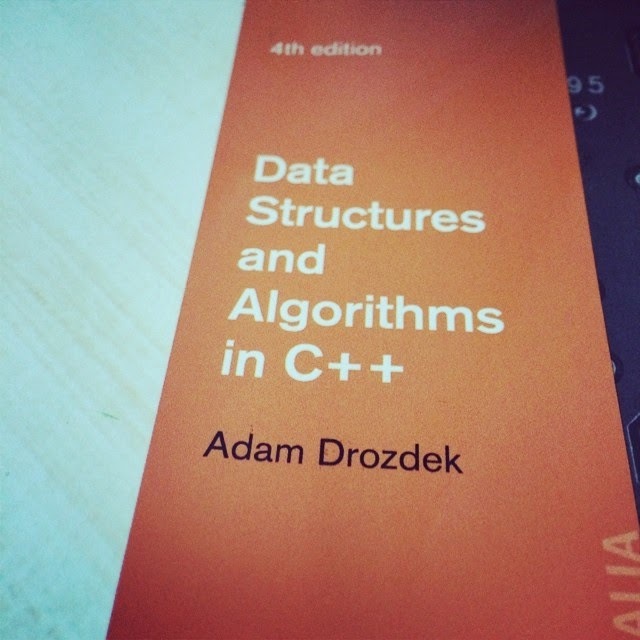 After reading few chapters written by Adam Drozdek, I realized that's not an easy job to deliver the Data structures knowledge (maybe I'm still a junior lecturer). My principle of teaching is to apply multiple teaching styles and simplified my lecture notes in order to ensure that students can understand my lecture easily. However, this is really a big challenge for me in this semester. If you did watched about Mission Impossible 2 ? I guess the great motivation from that movie was the word spoken by the actor - IMPOSSIBLE IS NOTHING. Just pray for Eddren. Good Luck !! !